Each year, Americans observe National Hispanic Heritage Month from September 15 to October 15, this is a time to recognise the influence of Hispanic Americans in the country. This collaborative piece features three Hispanic-market and ad tech experts from Adsmovil to talk on the importance and challenges of targeting ad campaigns to U.S. Hispanics. The United States is the second country in the world with the most Spanish speakers, just after Mexico. As a matter of fact, the USA is the second country encompassing the most Hispanic population in the world. Yet, this very powerful segment is not only highly stereotyped but also ignored by many marketers and brands. “With USD$1.7tr in purchasing power, Hispanics encompass a diverse, growing market that cannot be ignored and needs to be understood in order to implement effective campaigns that actually resonate. This is the case for mainstream brands trying to reach U.S. consumers as well as hispanic-focus brands who in many cases also fail on this aspect as well. 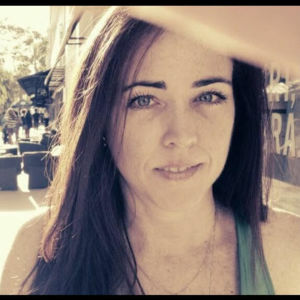 This lack of understanding causes a gap between assigned budgets for this power segment, sometimes to the point of leaving them with only leftover budgets, ” said Adriana Daantje, global programmatic and direct business director. One of the biggest mistakes brands make when targeting to Hispanics is using segmentation by generation instead of level of assimilation. A first generation immigrant refers to a foreign-born immigrant who has relocated to a new country. But this term tells us very little on how assimilated the person is to the US culture. For example, take a child who was born overseas and brought by her Hispanic parents as a one year old, grew up preferring to speak English, never went back to her country of origin, doesn’t like speaking Spanish vs. a first generation Hispanic who moved in his late 20s, speaks Spanish most of his time but is bilingual. On the other hand, take a first generation migrant who moved to the states later on in life, speaks basic English or doesn’t speak english at all, thus all the media that he consumes is in Spanish. All of them are first generation Hispanics but the content they consume and how they consume is going to be very different. “Looking into assimilation versus whether the person is first or second generation is a more strategic way to properly reach a Hispanic consumer because the message will resonate with them more. 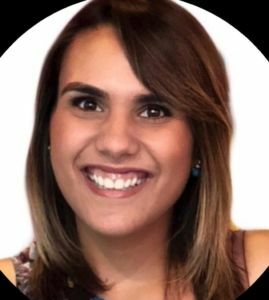 The best way to reach the target audience on level of assimilation is by studying the content they consume and through GEO location (knowing the places that they go),” said Maria Laura Dipp, Programmatic Account Manager at Adsmovil. Hispanic countries share a language and some share part of their history, but culturally they are not necessarily the same. Since the 19th century they have been independent countries with different histories, they’ve built their own costumes, a way of life, foods, mannerism, etc. Putting all Hispanics into a box is a big mistake. In the US, race is grouped as follows: Black (non-Hispanic), White (non-Hispanic), Asian (non-Hispanic), Native American and Hispanic. 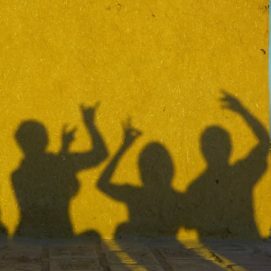 In Latin America, however, a race is a broader term that encompasses and acknowledges the different mixtures that exist in the vast majority of countries. This is why it is so important for brands to not fall in the stereotypes; to understand how the different countries in Latin America view race, how they treat race and to acknowledge the aspects that not all Hispanics have to look a certain way. “A big mistake that I often see from brands when targeting Hispanics is that they always try to target them through ‘neutral’ Spanish. Primarily, there is no such thing as neutral Spanish, and secondly, not all words in Spanish mean the same. This is especially important in digital where many brands translate specific keywords from English to Spanish when it comes to their brand safety strategies, hence blocking the words and content that in some countries are not censored. 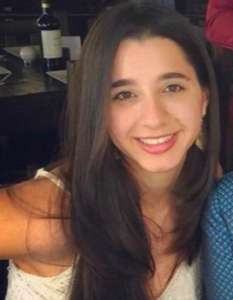 Brands instead, should focus on creating brand safety strategies that are relevant to and specific to each market.” says Natalia Rodriguez, Publisher Development and Account Manager at Adsmovil. 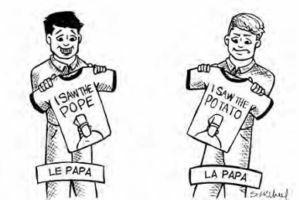 Case in point, a marketing blunder from an American T-shirt maker located in Miami who sought to capitalise on the Pope’s visit with custom t-shirts that would read “I saw the Pope” but instead, literally translated their T-shirts with the caption “I Saw the Potato”. Technology is a facilitator, but having cultural experts on your team can help to overcome the challenges of targeting to a U.S. Hispanics and any other diverse market segment. Have adtech insights to share? Would like to be featured as a collaborator? 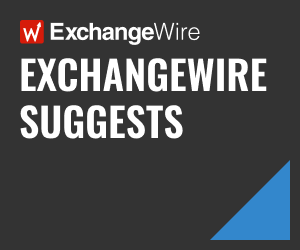 Contact ginna@exchangewire.com.